The following animations show the PCA modes of variation for 300 cases for the MESA (asymptomatic subjects) and DETERMINE (patients with myocardial infarction) cohorts. Modes are varied within ±3 standard deviations. In all figures, the view is anterior, septum on the left, lateral wall on the right. 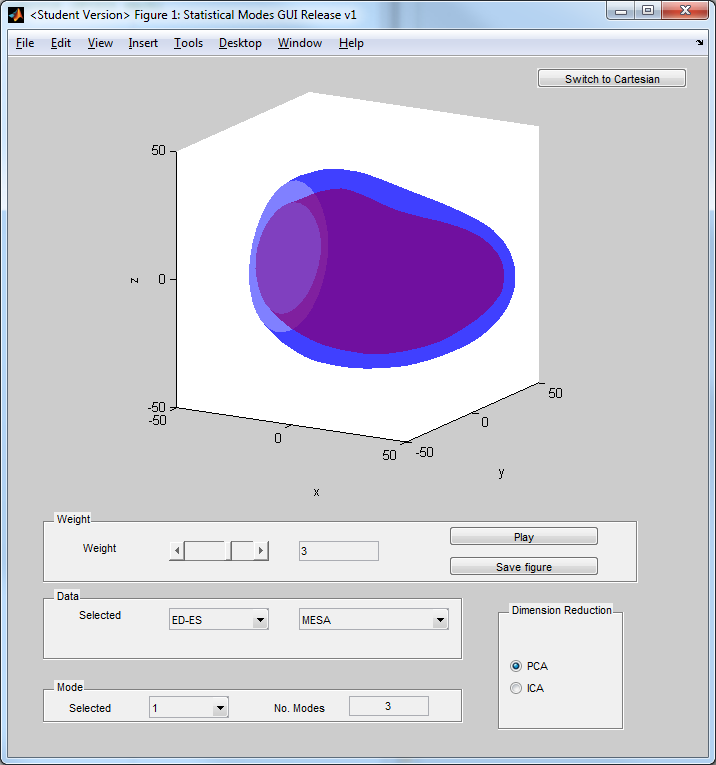 The MATLAB tool below shows the top three (L=3) or six (L=6) modes of variation (in terms of variance) of the left-ventricular finite-element model for the MESA (asymptomatic) and DETERMINE (symptomatic - myocardial infarct) cohorts, from 300 subjects each. PCA modes are incremental, that is the first three modes are the same for L=3 and L=6. These modes were derived from a contour model population of 1,991 MESA models.